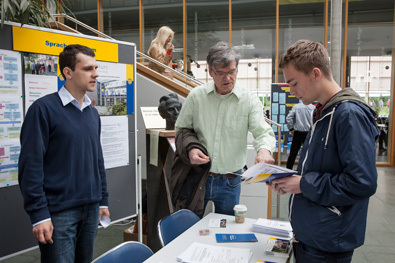 "Academic language… is no one's mother tongue"
The Language Centre (Sprachenzentrum) of the European University Viadrina is responsible for organizing language courses during the semester. Our course programme is based on the UNIcert system and most of our exams are UNIcert-accredited. Courses prepare for UNIcert II (General language in the higher education context) and UNIcert III (specialist academic language communication).